Each Monday in February, we will be highlighting a black composer by sharing their story on our SHAR Blog. The week following each blog article, keep an eye on our social media channels (Facebook, Instagram & Twitter) where we will be sharing their compositions and reminding the musical community of their influence. Take this opportunity to discover new-to-you music and lift up artists that deserve the spotlight! We also want to take this opportunity to announce that you can now purchase a Music by Black Composers timeline poster at SHAR! 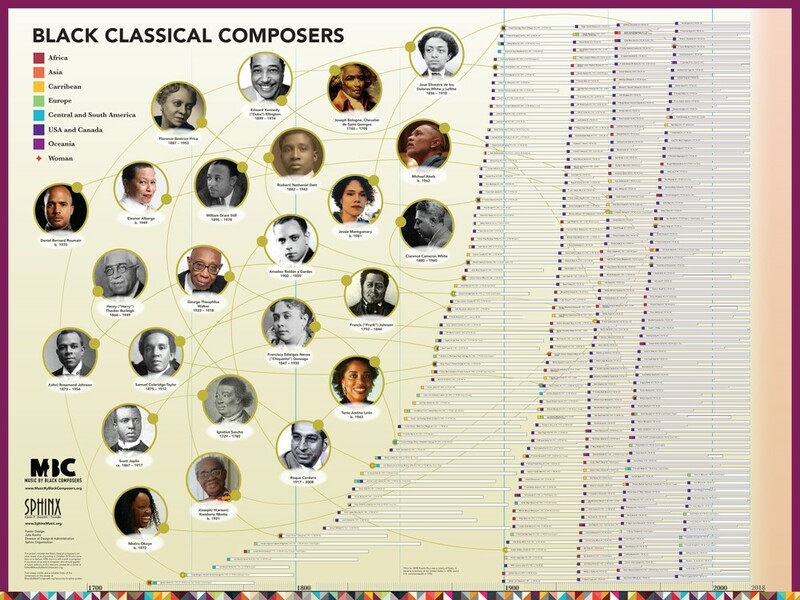 The MBC Black Classical Composers Timeline Poster was created in partnership with the Sphinx Organization, an organization dedicated to the development of young Black and Latino classical musicians. It features the names of more than 300 composers from around the world, including men and women from the 1700s to the present day, and indicates the countries and regions in which they lived and worked. This educational resource demonstrates the depth and breadth of Black classical music making throughout history, and is a colorful and engaging addition to any music or general education classroom, music studio or practice room, or children’s play space. It is a perfect companion to the Music by Black Composers and MBC Coloring Book! Make sure to subscribe to our blog and follow us on social media so you can join the conversation and celebration of these underrepresented black composers! 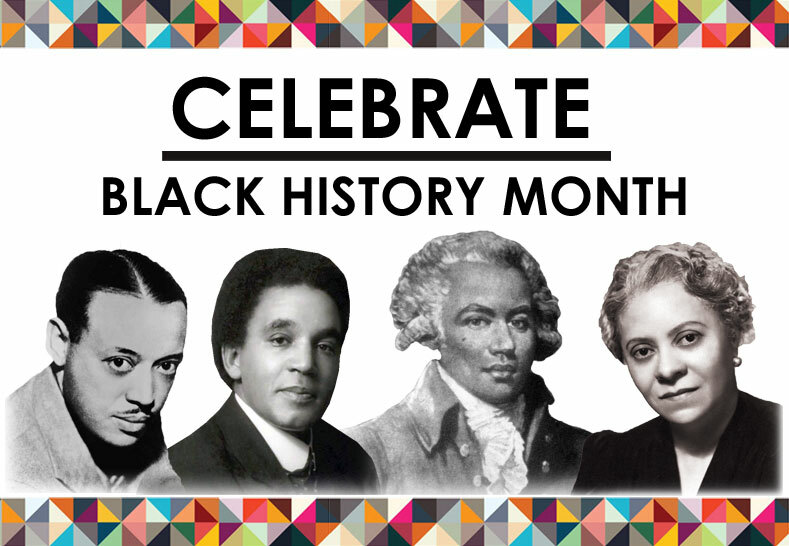 Read our Black History Month blogs in order!